. Published on August 20, 2018 . Add to your bath for an indulgent sensory and skin softening experience. Use as a hand moisturizer. Apply to damp skin straight out of a shower so that the oil can sink into skin, providing deep, non-greasy hydration. Helps to prolong a tan and is soothing on sun-kissed skin. Mix with a powder highlighter, like au Naturale’s Pure Powder Highlighter from last month’s collection – Illuminate, to create a beautiful, subtle body shimmer. Apply to pulse points – wrists, behind your ears, the bottom of your throat, inside your elbows, and behind your knees as a subtle, but sultry, fragrance. 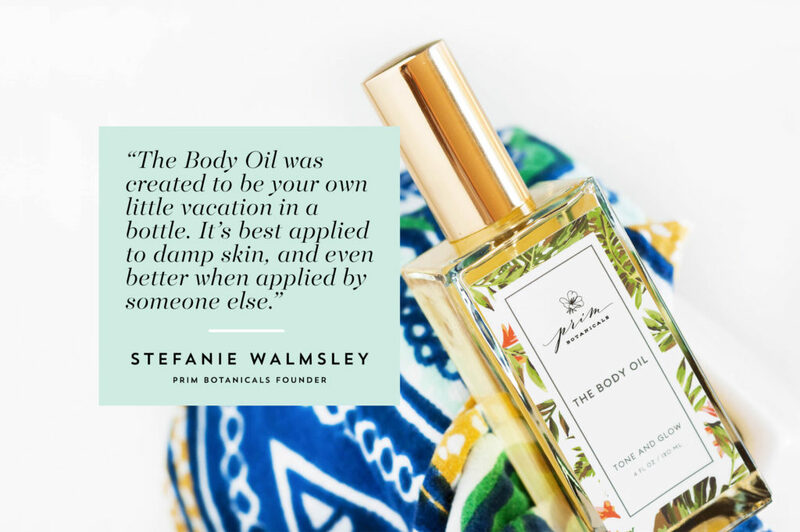 The Body Oil was created to help you feel sexier and be your own little vacation in a bottle. We wanted it to ignite the senses by smelling amazing – our special blend of rose, jasmine, black pepper, and rosemary is completely unique and sultry while still being incredibly fresh, and feeling incredible going on your skin. We launched with The Body Oil and The Hair Oil so from the very beginning. 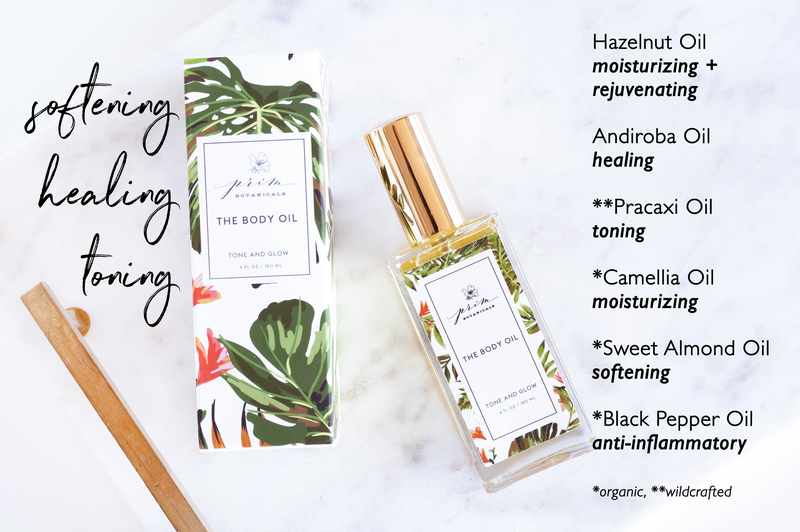 We added incredibly special oils from the Amazon, andiroba and pracaxi, to help with the appearance of stretch marks, cellulite and help relieve eczema.